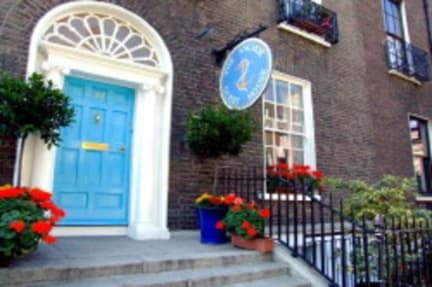 Anchor Guesthouse i Dublin, Irland: Bestill nå! 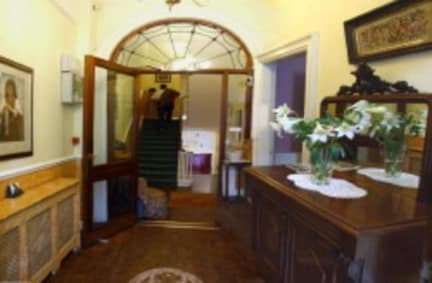 Anchor Guesthouse is a 4-storey, Georgian Townhouse, located in the heart of Dublin City with easy access to Dublin Airport and Ferry Port. Shops, Theatres, Hop on Bus Tours & many 'must see' Tourism Sites are within easy walking distance. The guesthouse offers 22 En suite, fully-equipped guest rooms. All of our bedrooms are equipped with direct dial telephones, & multi channel satellite television. All are centrally heated & are fully ensuite with showers. Bedroom Tea / Coffee facilities are available on request. All bedrooms are meticulously serviced, tidied & cleaned on a daily basis. Our Guest Sitting Room is enabled as a Wi-fi 'Hotspot', for wireless equipped Laptop users who need to use the Internet. Access to this service is is free of charge to our Guests. You are welcome to Check - in with us from 07:30 AM. Rooms will be made available, at once, if unoccupied from the previous night, or as soon as is practicably possible otherwise. Baggage storage is available for early arrivals, & also for those with late onward journeys from Dublin.